The value of the global wearable technology market is predicted to reach $20 billion this year and $70 billion by 2025. The world is seeing a rapid development of wearable technology being integrated into every aspect of our lives – to help record the world around us, control our environment and communicate information between one another. This industry is in a state of continual growth with no end in sight. This month in Las Vegas, SOURCING at MAGIC will have a focus on wearable technology with the latest trends, innovations and the future being discussed by industry leaders including executives from DuPont and Intel during the seminars listed below. 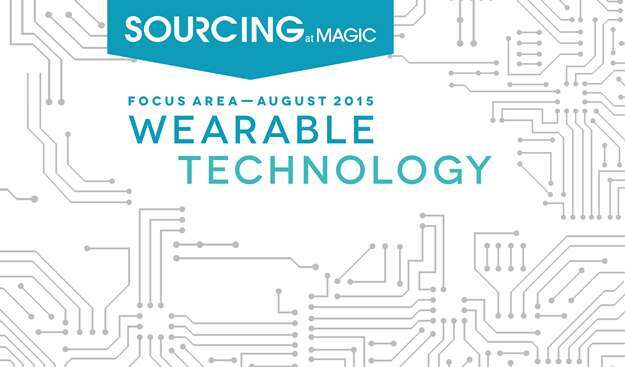 This year’s sourcing show runs from August 16-19, 2015 and as always, MAGIC offers an un-paralleled seminar series. Below you will find some of the seminar details. If you missed the Sourcing at MAGIC February 2015, you definitely do not want to miss the August event.